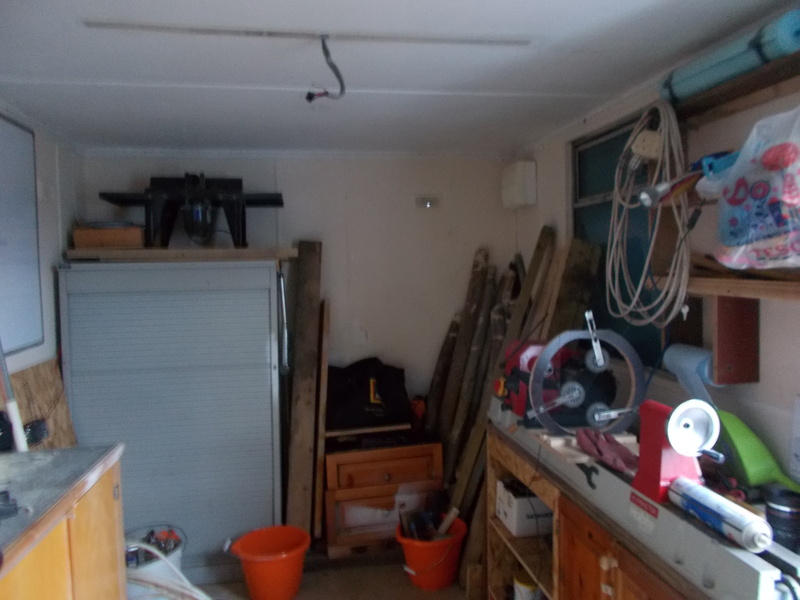 It’s the end of an era for my old shed/workshop. I decided it needed replacing, and sourced a new building. (more on that later) The old building had to come down to allow the new one on the same site. 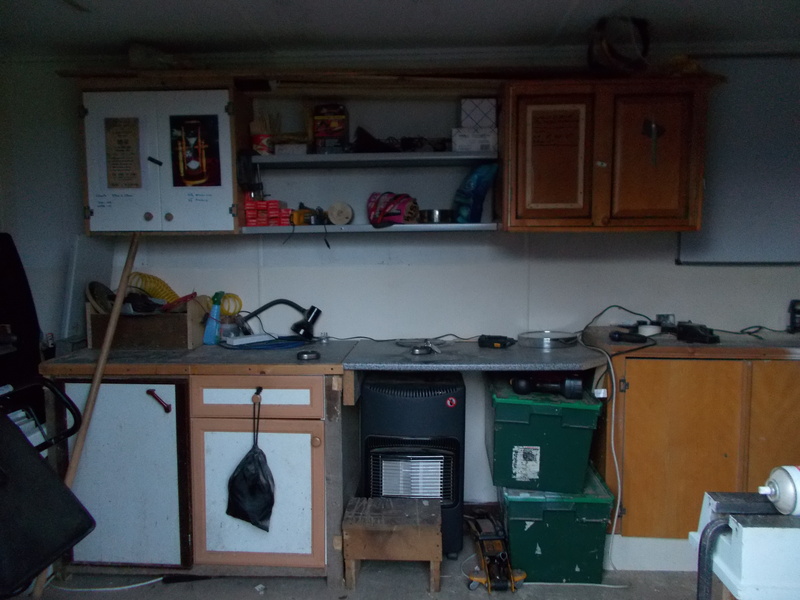 I was horrified when all the cabinets and benches were stripped out. 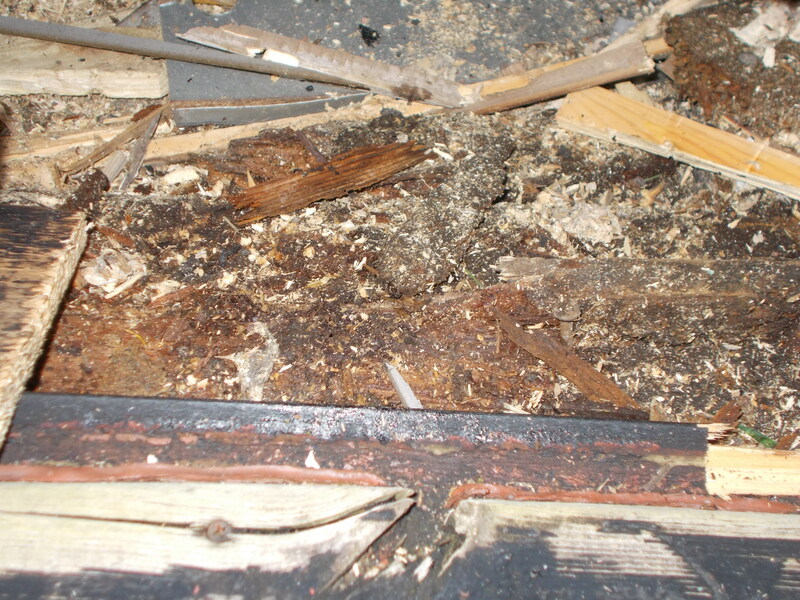 I knew it was in a bad way, but had no idea just how badly rotted it was. The brown rusty looking substance is all that’s left of the bottom rail of the frame. Likewise, the dark band is the base rail on the other side. I reckon the cabinets were all that stopped it being blown down in high winds. So the old shed is now gone. 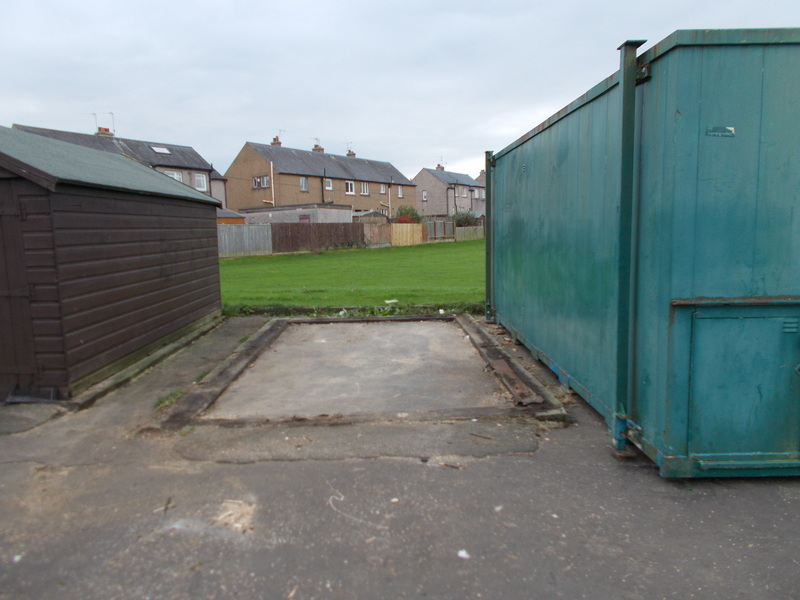 The teal box on the right will be my new workshop when I get it moved onto the site vacated by the old shed. The new workshop is a 20’x8′ steel container. This was obtained from Cumbernauld Model Flying Club and transported to me by Thomas Graham Transport of Bo’ness. 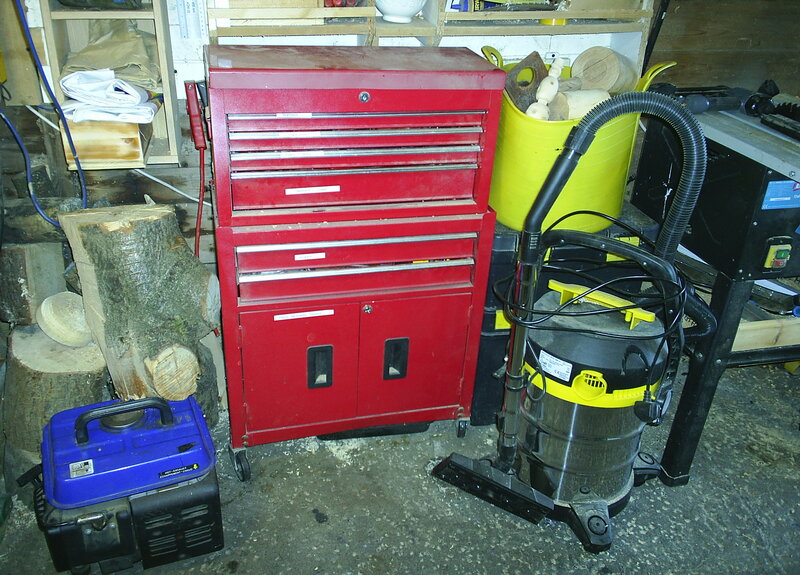 I have started moving my tools and equipment into the new workshop, but still have a lot to do. This weekend I hope to get the lights up and the additional power sockets I need connected. This container is built from cor-ten steel so should last as long as I need it. No danger of blowing away, or blowing down in the gale force winds we regularly see here. I decided a while ago to move my workshop around. It, like most workshops, grew organically over the years. 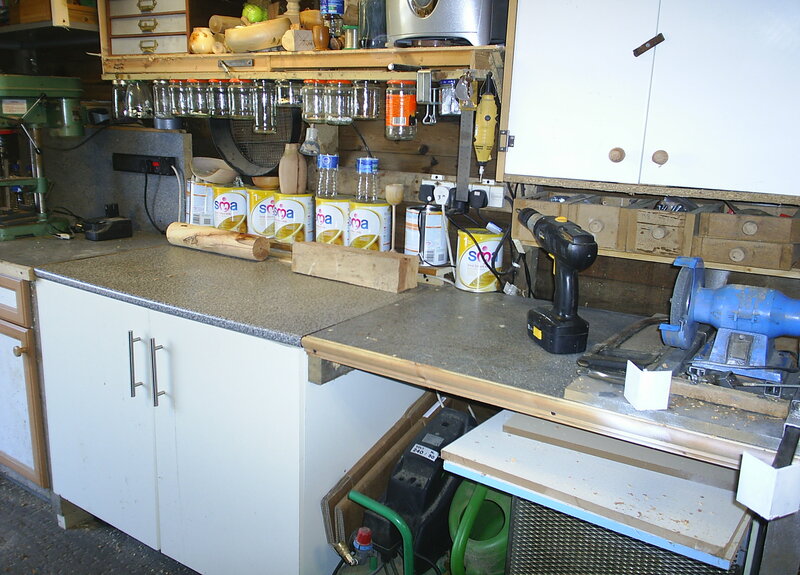 The result was a lot of cluttered and disjointed work surfaces. 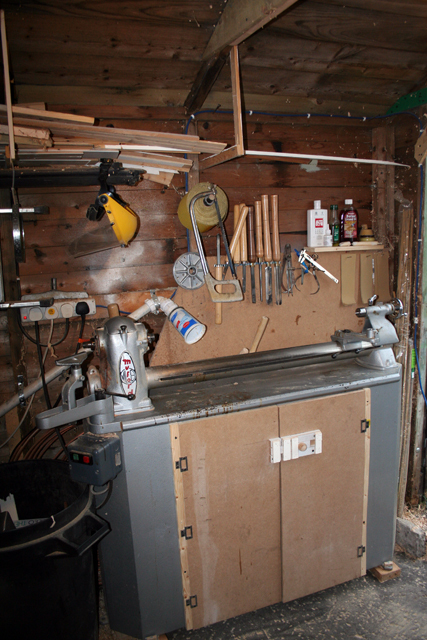 I had plans to replace my lathe, so needed to rationalise what space I had. Easier said than done when I am limited to one day a week at the weekend to spend in the shed. I think it turned out not too bad. 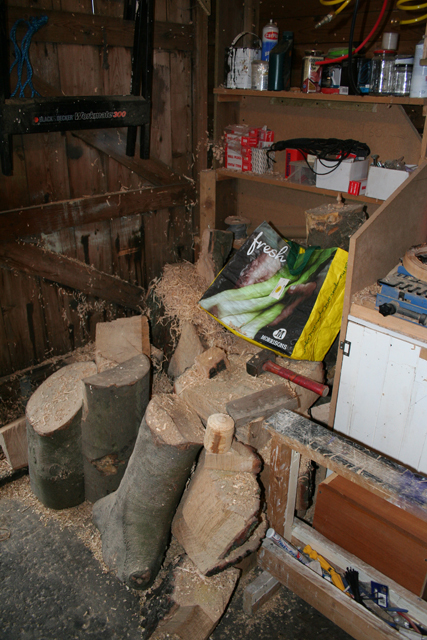 I got rid of a whole load of timber products I have been hoarding which gave me back a lot of space. Then of course I needed sheet material to build a new cabinet under the new lathe. From the door, it still looks quite cluttered, but that is because I have less space than I need. 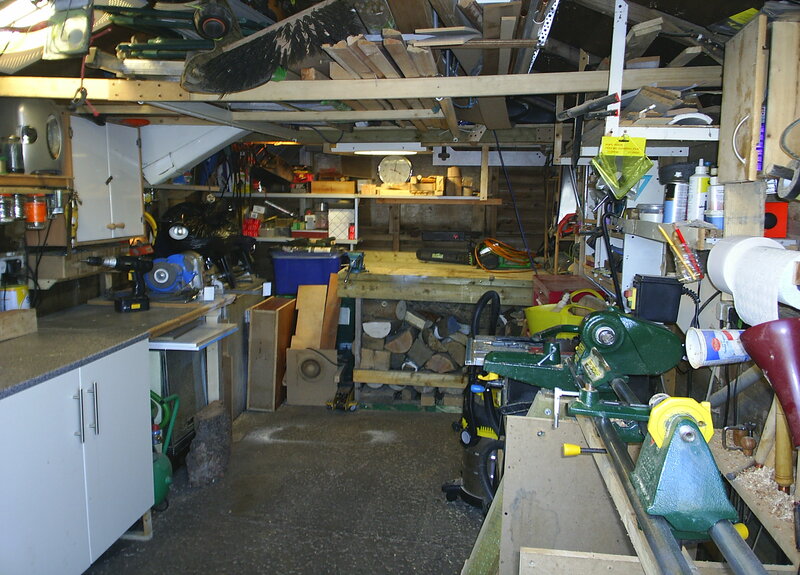 This is the most organised the shed has ever been. Drill press and cabinets below. That piece of spalted beech will become a pepper mill. The work surface continues along to the start of the grinder. The guards are removed for cleaning incidentally, they are normally in place. 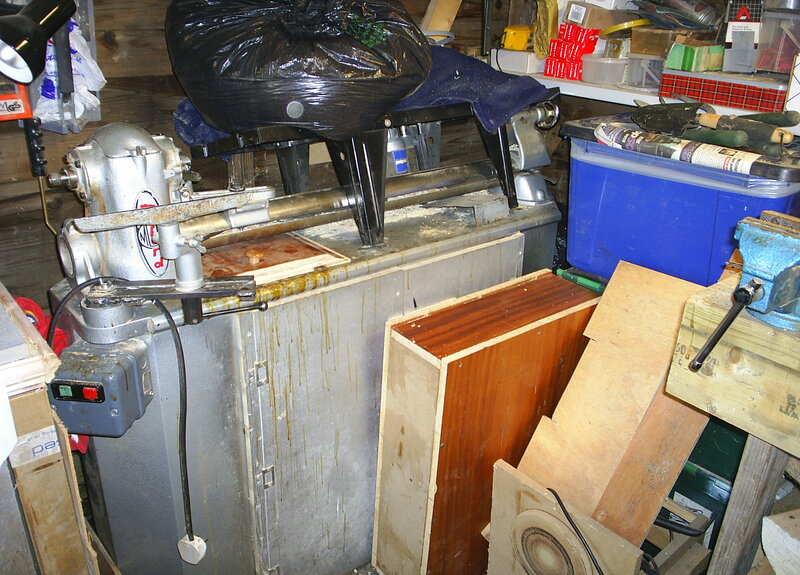 The poor old ML8 is sitting in the corner with my router table sitting on top, until I decide what I want to do with it. 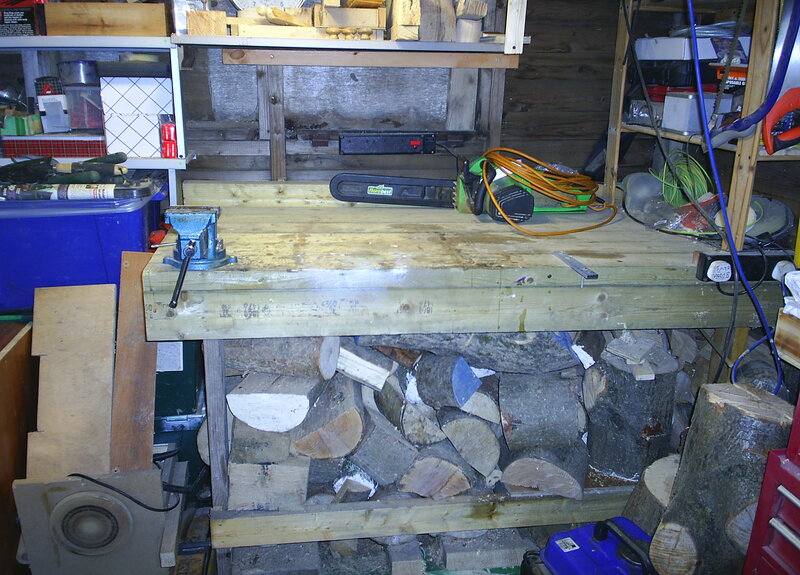 My heavy bench now has the wood pile sitting underneath. My rolling tool cabinet is now against the wall, and back on wheels so I can move it as necessary. 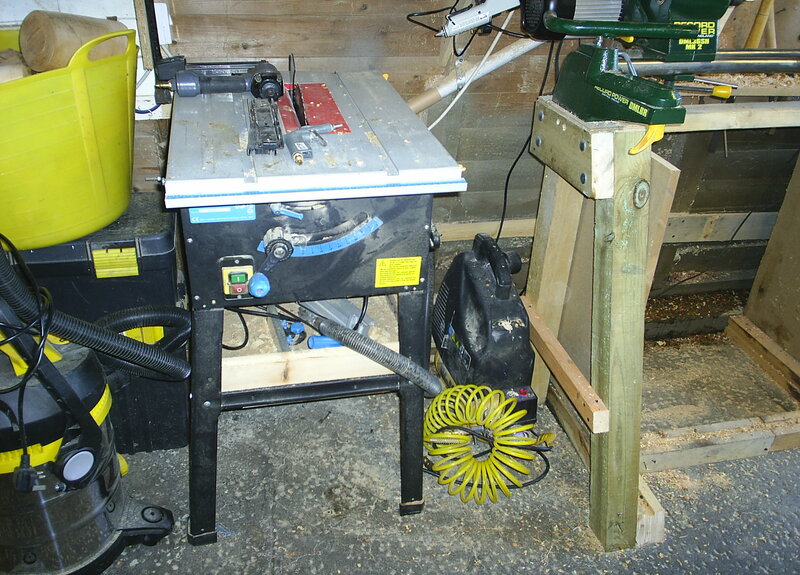 Next along is my table saw, workshop vacuum (extractor) and small compressor. 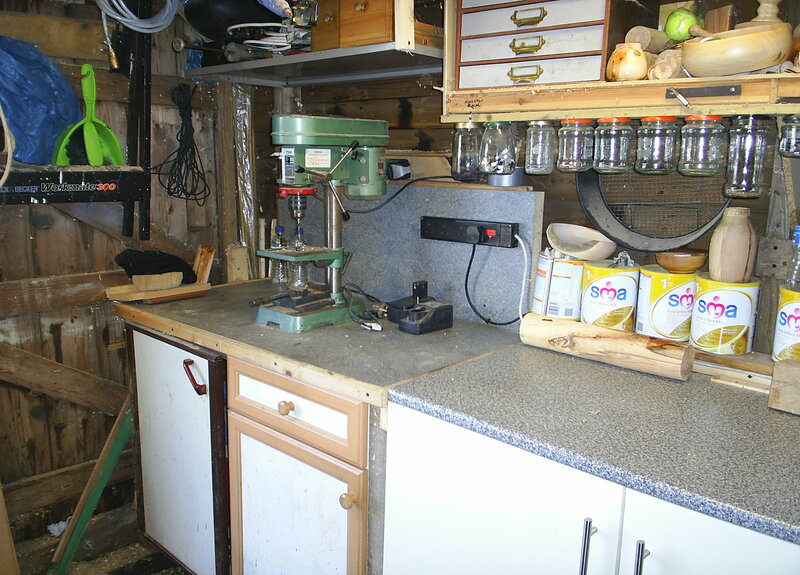 And last, but by no means least, the new lathe and cabinet. I’m sure y’all will agree it looks much better than before. More flowing workspace, and much easier to keep tidy. 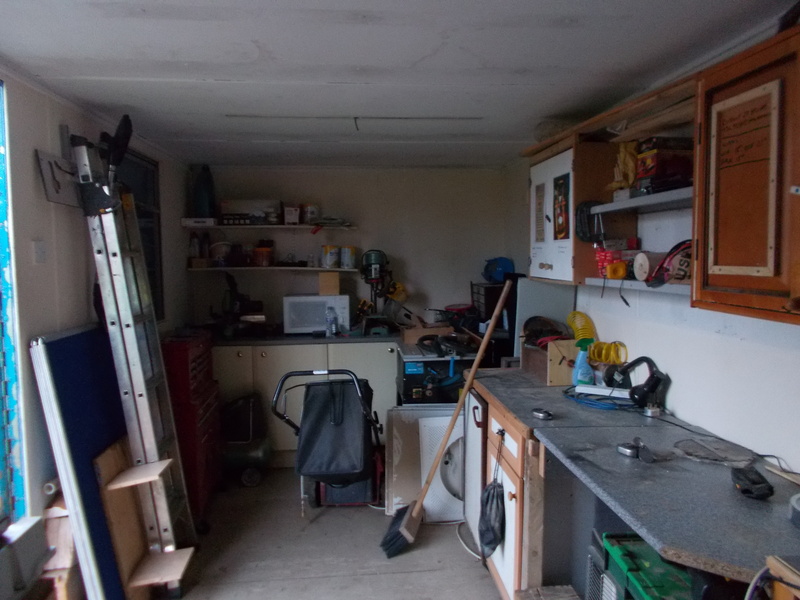 I work in a 16’x9′ wooden garage, which although far from ideal works for me. My lathe is an old Myford ML8 I picked up from a lovely lady via Freecycle. It has the original cabinet underneath, but the door was missing. I added 2 pieces of MDF to try keeping the interior free of shavings and dust. Note the yoghurt carton I use as a hood for my extractor. 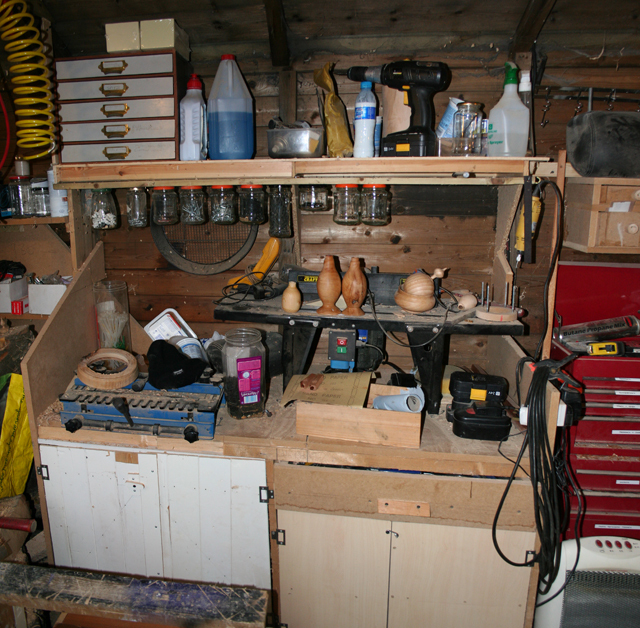 I store lathe related bits & bobs in the cabinet, to keep them handy. 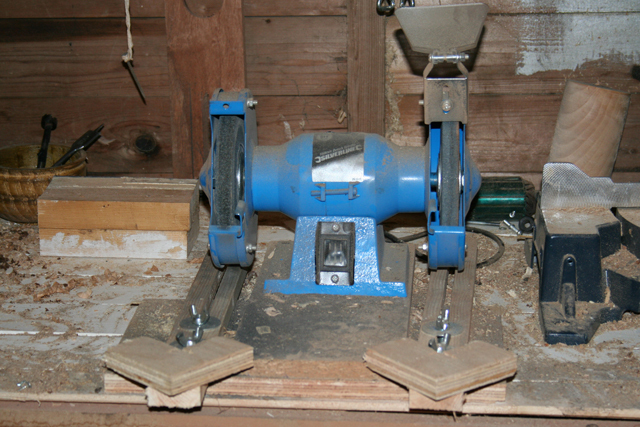 My sharpening station is a Silverline grinder with my home-made jig. 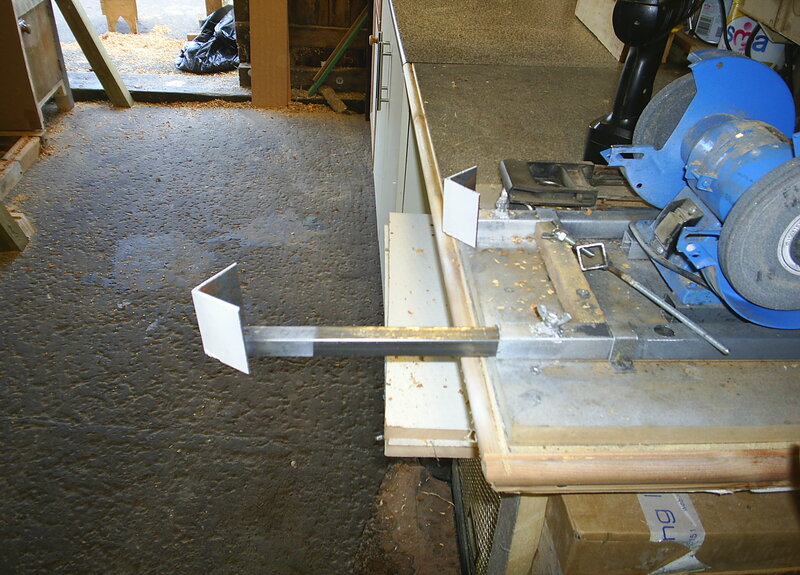 I will also be having a go at making a Blackhawk type jig as designed by Cap’n Eddie Castelin. Eddie has an extensive YouTube channel which is ideal for beginners such as me. 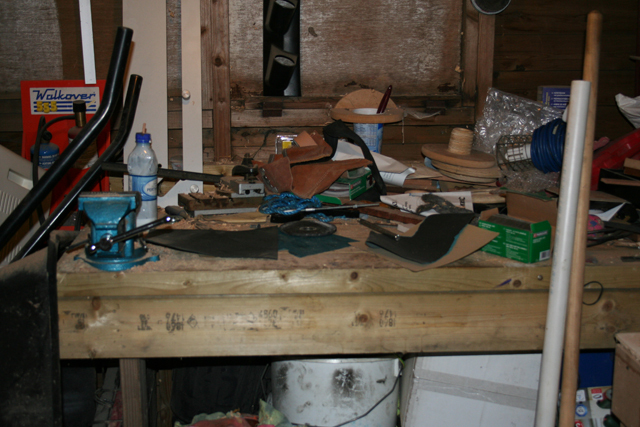 My bench isn’t any cleaner incidentally, despite cleaning it every other day I’m working in there. 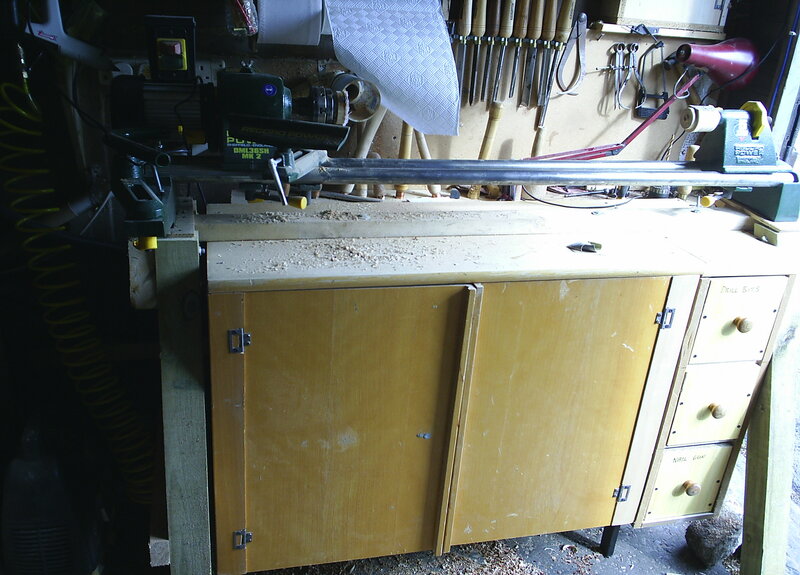 Directly opposite the lathe is my router station, and you’ve guessed, it’s a tip too. 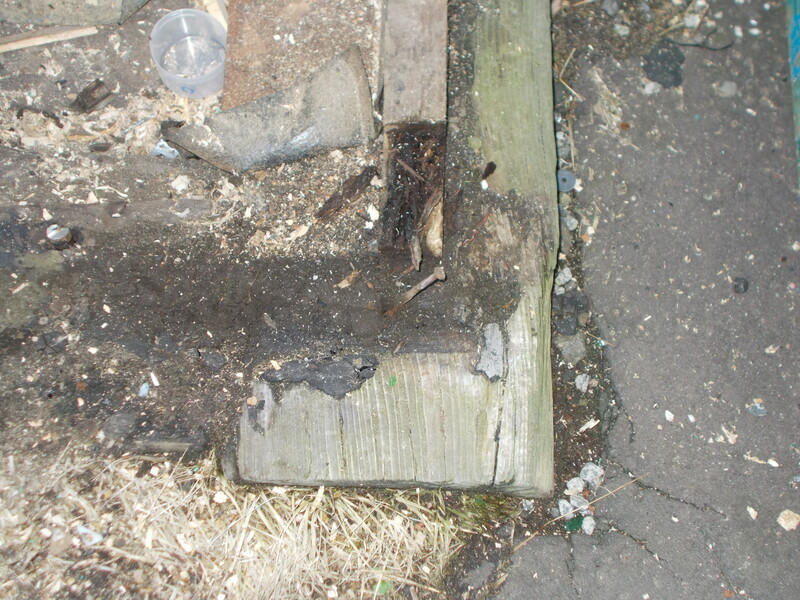 And finally, in the corner is the woodpile. Mainly oak and beech at present, but I’m working on gathering some other species too. And so ends my workshop tour. Hope you enjoyed the visit.